Mareisha N. Reese is Chief Operating Officer of The Winters Group, Inc. In this role, Mareisha’s primary responsibilities include leading the firm’s finance, human resources, information systems, and client management operations. She is passionate about diversity and equity in education. Her specific interests include improving diversity and gender equity in the fields of science, technology, engineering and mathematics (STEM). An engineer by training, she understands the struggles young minority females face when it comes to this field; as part of her role, Mareisha explores the intersection between STEM and The Winters Group’s traditional diversity and inclusion work. Prior to her role as chief operating officer, Mareisha served as vice president of The Winters Group where her contributions to supporting The Winters Group’s growth included significant enhancements to the firm’s technology infrastructure, web presence, social media platforms, and client service offerings. Before joining The Winters Group in 2012, Mareisha worked as Program Manager of a National Science Foundation grant focusing on diversity in science, technology, engineering and mathematics (STEM) education at Johnson C. Smith University (JCSU) in Charlotte, NC. Mareisha worked for 6 years at Northrop Grumman where she gained a variety of experience working in their business management, supply chain management and engineering business units. Mareisha’s experience also includes time working at a small DC based software company and the US Patent and Trademark Office. A graduate of both Spelman College and Georgia Institute of Technology, Mareisha holds undergraduate degrees in Computer Science and Electrical Engineering. 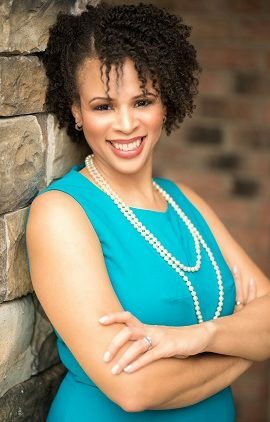 In 2009, she received her MBA and MS in Information Systems from University of Maryland’s Robert H. Smith School of Business. Mareisha is an avid volunteer and a member of several organizations including the National Society of Black Engineers, Society of Women Engineers, American Association of University Women and Alpha Kappa Alpha Sorority, Inc. She recently served on the Boards of The Black Girls’ Corner, Inc.™, The GEMS Camp (Girls interested in Engineering, Mathematics and Science) and the National Alumnae Association of Spelman College (Charlotte Chapter) in addition to the Leadership Team for the North Carolina Girls STEM Collaborative. Mareisha is a certified administrator for the Intercultural Development Inventory® (IDI®).